The last of the pool relevant deals on this trade deadline day went between the Buffalo Sabres and the Anaheim Ducks, where another player that seemingly came out of nowhere earned a team a decent return in a trade. The Sabres acquired Jamie McGinn in the same deal that brought Ryan O'Reilly to town, almost like a throw-in for the deal and the Sabres were obviously quite pleased with what they got. Thanks to a decent year and unrestricted free agency looming, McGinn became a pretty good rental option for a playoff bound team... enter the Ducks. As the day wore on, the prices seemingly went down a little bit, as the Ducks managed to pick up the depth scoring forward for a conditional 3rd round pick, which likely improves upon how far the Ducks go into the playoffs. Anaheim is certainly one of those teams to watch down the stretch and into the playoffs, because they may have a strong chance at going far. The Chicago Blackhawks and Los Angeles Kings may have something to say about that though. 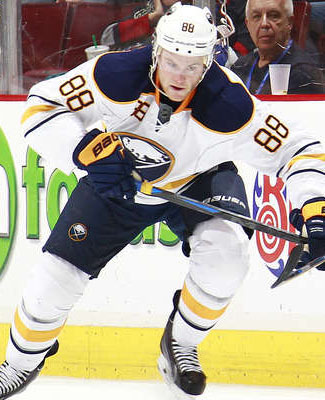 McGinn was a Waiver Draft pick-up of Stacey M.'s in Week Eighteen and since becoming active, he has posted 4 points in 10 games with the Sabres. That's little consolation to Stacey's team, which is really hurting from injuries and on the verge of not being able to escape last place in the standings. Is the window closing on the Boston Bruins or something? Much like the Los Angeles Kings, these guys are a much better playoff team then they are a regular season team and all they have to do is make it into the Spring Dance, just to become a contender in the East. With that being said, the Bruins have been gearing up for a playoff run and the acquisition of Lee Stempniak from the Devils is making the best of a limited situation at today's trade deadline, offering up a couple more draft picks to make themselves better equipped for April, May and possibly June. 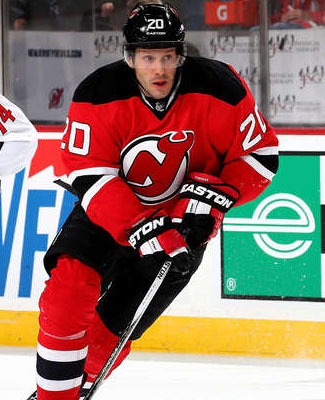 Stempniak has had a career resurgence in New Jersey this year, nearing the 20-goal plateau for a guy that had to earn a contract on a tryout in training camp and quickly became an asset worth dealing, because of his low cap hit and high offensive return. This definitely worked for the Bruins, as it was all coming together for them. The Devils did get a nice little haul of a couple of picks, which should help their own rebuild, which they have going on at the moment. The marquee pick doesn't happen until 2017, but its still a pick worth keeping around, especially given the circumstances of the player. In Benson's case, he needs a small miracle to ensure that his team won't end up in the pool's basement, although we've looked at most basement dwelling teams and they all seem to have some big injury flaws or more to them. If Stempniak can keep the pace going in Boston, Benson could be safe from too much more falling. The Boston Bruins were in the market for a puck moving defenseman at this deadline, trying to work their way through the priorities, top to bottom today and about third on their list was John-Michael Liles of the Hurricanes, who they opened up the vault for, offering up a 2011 draft pick prospect and a couple of picks to get the deal done. Liles, 35, has certainly made the rounds in his career, jumping from team to team, usually around this time of year and now the Bruins are trying to work their way into a long playoff run in the Eastern Conference with a new blueliner in their collection. His season to date hasn't been spectacular with a Hurricanes team that was still somewhat in the playoff race, but opted to be sellers for long-term gains, instead of heading to a short playoff run, if there was one at all. The Hurricanes will give this older prospect a try in their system or maybe at the top level, since they've sold off a lot of pieces already, see if it is worth while to keep Anthony Camara on after this deal, when it expires in July. In the pool, Stuart gets a little bit of a boost, since the Bruins are a good team from the blueline to the offensive net, which should help Liles pick up a few more points down the stretch. His team is 26 points from the money, which, like a lot of deals already done today, won't be assumed by one player making an impact on his team with only six weeks to play. Maybe more to the point, Stuart has some side bets on the go, including one defenseman bet, that he's losing quite badly to Clayton, 139 to 111. That's an even bigger gap than his one to the overall money prizes. Oh, but he is winning the defenseman bet with John S., 111-59... that helps. 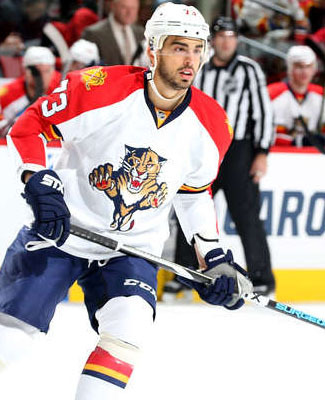 The Florida Panthers dealt injured forward Brandon Pirri to the Anaheim Ducks on Monday, receiving a late round pick this year as compensation in the deal. Pirri, 24, has seen a couple moves now in his young NHL career and in order to make the most out of this one, he'll have to come back from a fractured ankle, which has kept him on the shelf since the middle of February, likely still a month away from returning, at best. 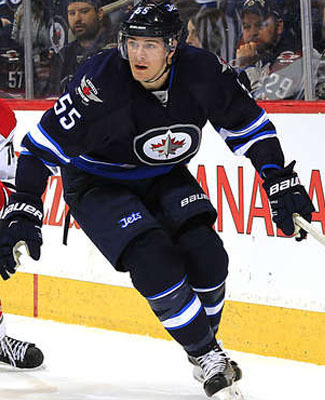 Since the Panthers have continued to roll without him and his potential free agency status at the end of the year, the Panthers were obviously comfortable moving this asset here at the deadline and even more comfortable taking on a much-lesser pick in order to accommodate the move. It's by no means a bad deal for either side, very low risk and decent reward for the Ducks. This move will be a while before it starts to pay off for Derek W., if it does at all, as the injury will still play a huge role in how much he can produce still this year. Derek's team currently sits in 15th, 54 points back of the money. There isn't much left that Pirri can do for him in this deal. 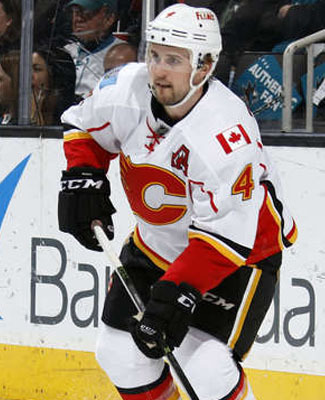 The Calgary Flames were reportedly taking a lot of calls on their future free agent-to-be defenseman Kris Russell leading up to the deadline and they were able to swing a deal that brings a couple of prospects over to their side to fill their shelves, while the Stars add another puck moving defenseman for their side. Russell, who's currently nursing an injury, currently day-to-day, will help a pretty potent offense by moving the puck like he does and he also provides a shot blocking element, bettered by few in the NHL today. The Stars have a defense that offers up a lot of shots against, so he'll have his work cut out for him. Jokipakka, 24, will likely get some early work with the Flames, as they moved out another big minute defenseman and they wait on the Dennis Wideman process to end, but he'll come to a team as a young, emerging talent with some offensive upside to him. The 2nd round pick for this year, could improve to a 1st round pick, if the Stars reach the Western finals and Russell plays in 50% of the games. A move from an inconsistent offense to an inconsistent defense could help Russell's numbers, when he's healthy and back playing again. Well, at least that's the hope for Troy, who will open the week in 17th place in the standings and among the pool low in projected games to be played this week. Now 62 points out of the money, I am thinking that's way too far out to have this trade make any difference for him. The Boston Bruins have announced that they have demoted forward Zac Rinaldo to the AHL on Monday, likely trying to make some room for any potential moves at the trade deadline. Rinaldo is also due to have a phone hearing with the NHL Department of Player Safety in the next 24 hours for a hit he laid on the weekend, which sounds like will earn him some kind of league mandated time off. Either way, it sounds like Rinaldo will be missing some games. This will have a pretty big effect on the PIM pool, especially if Rinaldo is buried in the minors for any length of time. Wes was counting on some big minutes from one of his new hired goons, so now that he's out of the picture for the time being, Derek & Dan might be licking their chops. 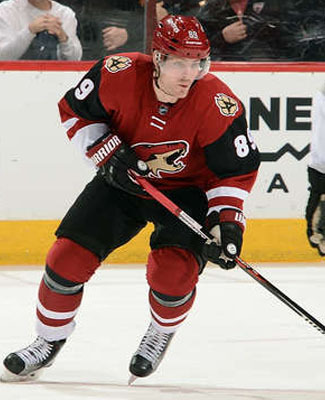 The shuffle in Arizona has begun at the trade deadline, as the Coyotes have parted ways with forward Mikkel Boedker on Monday, receiving veteran forward Alex Tanguay and a couple of unsigned prospects to help fill their shelves. Boedker has been having a decent year in the desert, working towards a 20-goal year and with the Avalanche's high-potential offense, he has a chance of hitting that total before the end of the year. With the Avalanche holding the last wild card spot in the Western Conference going into Monday's action, this move should help cement their spot in the Spring Dance. Going the other way, a relatively good sized contract in Tanguay, who is having an okay year, as he winds down a pretty good career. At age 36 and his numbers somewhat dwindling, the questions will likely come down upon him about how much time is left in his career. At least at this point, he can bring some veteran wisdom to a young Coyotes team. So, both big contracts in this deal are players in the hockey pool, and they have relative value in the standings at this point in the year. The improving situation for Boedker means an improving situation for Kristy & Don, who open this week 30 points back of the money. There's no way Boedker is going to close that gap by himself, but he could make a dent in that body of work that needs to be done. On the other hand, Tanguay belongs to Grant, who is just trying to stay out of last place. He opens this week in 26th spot, now 5 points clear of last place, but Tanguay going to a lesser offense won't help him stay afloat as well. The first really big news of the day isn't a trade, rather a big injury, as the Ottawa Senators are shutting down forward Kyle Turris for the rest of the year, as a high ankle sprain is not working for him at all these days. The talented play-making centre has been in and out of the lineup a bit in recent weeks, but his last appearance, Saturday night against Calgary, appears to be his last, as he left the game early and didn't return. An unfortunate finish to a bit of a disappointing season. In 57 games this season, Turris picked up 13 goals and 30 points, which currently has him ranked 200th overall in pool scoring, which is surely to fall in the last six weeks, likely quite significantly. For Stacey M., this now make three players on her roster that are now done for the rest of the season, increasing her team's chances of finishing 27th overall in the standings. Her team only has 13 points to drop for that to happen and now down two forwards and a defenseman for the last six weeks, it is more than likely that it will happen. Turris was taken in the 4th round of the draft, 87th overall this year by Stacey. The Carolina Hurricanes were the only dedicated sellers on Sunday, by the quick review tonight. As the trade deadline approaches, they were ready to move assets, before and after their game against the St. Louis Blues. The latter of the two moves saw Kris Versteeg, rental player extraordinaire, heading to the left coast, Tinsel Town, Hollywood... to the Los Angeles Kings for a prospect and a conditional pick. The Kings get themselves a player that has been on two Stanley Cup winning teams with the team that they will be vying to get past this Spring, at one point or another, the Chicago Blackhawks. Versteeg is a pretty good playoff performer and with the Kings ready to take the Pacific crown in the regular season, they will need someone of his calibre to keep that party going into the deep Spring. On the other hand, the Hurricanes get another prospect that is a little bit more matured in Valentin Zykov, a 2013 pick (2nd round, 37th overall), who hasn't been able to crack a Kings lineup, where veteran presence is all the rage. The Hurricanes have shown that they aren't afraid of youth and their acquisition of more is cementing that idea. This is another bottom of the standings acquisition in the hockey pool, as Cindy's team is in the bottom third, late on Sunday night. This is the second player on her pool team to get dealt in the last few days, but on a win by one Kings team, it's tough to think that Versteeg will get any offensive gains out of the move to Los Angeles. He certainly has a better shot in the playoffs, but his individual successes in the regular season will still be limited.